CHANTAL VAILLANCOURT YOUR DAVISVILLE & LEASIDE INSIDER : CNIB Ontario's new Community Hub at 1525 Yonge St. (north of St. Clair Ave). CNIB Ontario's new Community Hub at 1525 Yonge St. (north of St. Clair Ave). I had a great afternoon last week visiting CNIB's new Community Hub - the first of its kind in the province - at 1525 Yonge St. (north of St. Clair Ave). The Hub is an innovative, fully accessible space where people with sight loss in the GTA can come for social and emotional support, learn new skills, take part in programs, workshops, host events, hang-out and thrive in an engaging space. Angela Bonfanti, Executive Director of CNIB in the Greater Toronto region, gave me a tour of The Hub and told me that there are over 80,000 blind or partially sighted people in the GTA. And with an aging population, that number is expected to increase. She explained that people with vision loss often experience isolation as it can be intimidating to venture out and socialize. The Hub aims to change that by providing a safe and accessible environment for members of the community to meet. The Hub and many of the neighbouring businesses are equipped with beacons to help people with sight loss navigate the neighbourhood. It was fascinating to see how the technology works: when a beacon is installed in a building, it connects to a GPS app called BlindSquare and relays a verbal navigation to user’s phones. 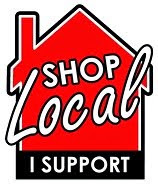 The beacons essentially provide directions and navigation indoors and outdoors including a description of the business, the layout or floor plan of the shop, and the goods for sale or on display. The Hub aims to level the playing field for community members with sight loss with specialized life-enhancing programs, classes and workshops to enable people with sight loss to lead fuller, more independent lives and redefine what it means to be blind. Many of the program leads and volunteers are people living and working with sight loss themselves. "Our Hub is a space that will help community members with sight loss smash barriers in areas of access, employment, research & technology and literacy to create an inclusive community where individuals with sight loss thrive," said Bonfanti. Accessible computers for community members are also available for people who want to update their resumés, get online to learn new programs and just spend time in a social environment while researching new tools and programs or train for a new job. There is also a very cool virtual reality room on the top floor where community members (both with sight loss and full vision) can simulate various situations for people living with sight loss - such as walking across a busy street. There is a kitchen where members can try out their cooking skills, and children can learn to help their parents in the kitchen. Oh, and let's not forget the "Doggy Zone" at the front door for those K9 helpers and best friends to have a drink, relax and socialize with other dogs, there's an array of toys for them to enjoy. This two-storey facility is so inviting with large windows and a painted mural at the front entrance by local artist Leyland Adams. 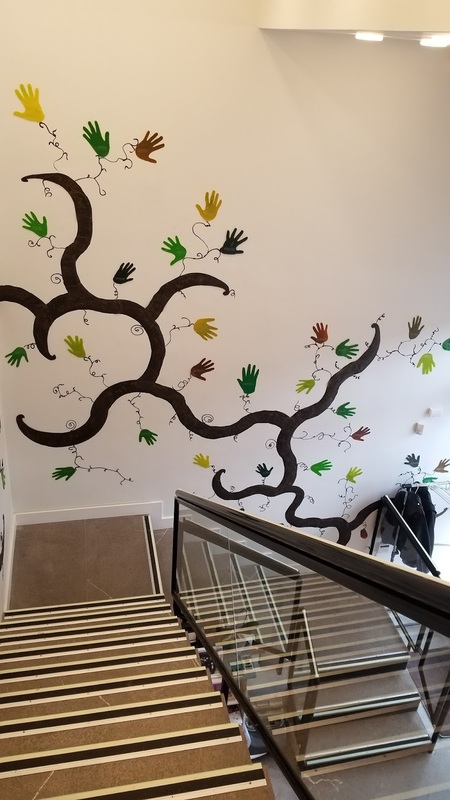 A tactile tree created by Kate Ramos trails along the staircase and features the hand-prints of the many volunteers and employees who helped open this inclusive environment!